The Nigella Lawson Buffet dish in medium size can be taken straight to the table for serving which saves on the washing up! The matt black finish also looks beautiful so in between use it can be kept out on the surface to complete the look and feel of your kitchen. All Flameware items are totally non-stick. 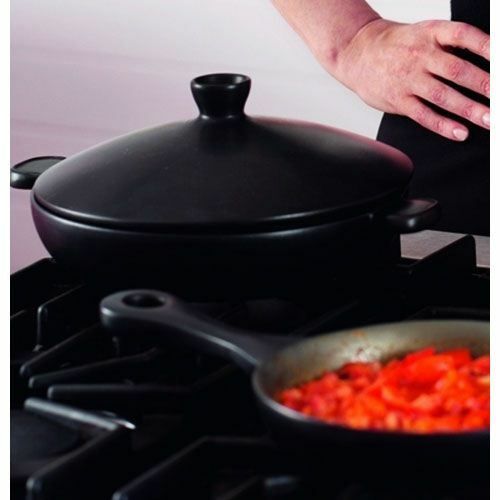 Versatile and practical, Nigella Lawson's Flameware products are formed from a unique ceramic material that can be used on direct heat, in the oven, the microwave, the freezer, and of course on the table for serving. 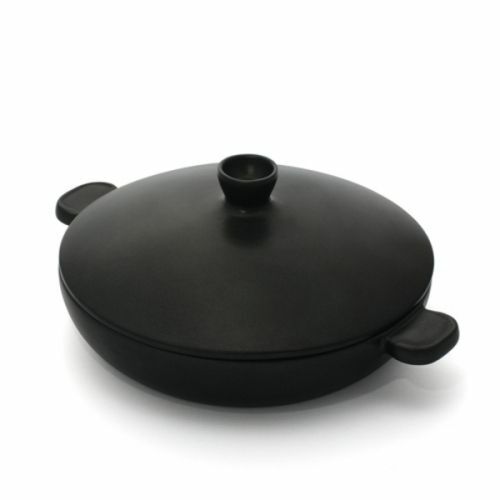 It is lighter than ordinary stoneware and has been designed to retain heat. When the food in the cookware has reached the required temperature the heat can be reduced and it will still maintain the same temperature. for submitting product review about Nigella Lawson Buffet Dish - Medium.